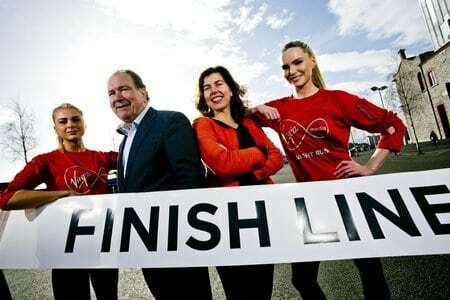 Dublin Simon Community are delighted to announce that they are the official charity partner for the Virgin Media Night Run taking place on May 22nd. The Night Run will see over 8,000 people run through the streets of Dublin City Centre with proceedings starting at 9.30pm. If you would like to pound 10km of Dublin pavements and support Dublin Simon Community, then all you have to do is register your details here: www.Virginmedia.ie/nightrun. The route, (subject to license) will start at Custom House Quay taking in the IFSC, Grand Canal Dock and scenic City Quays will see thousands of enthusiastic runners of all levels and ages enjoying a great night out along the streets and riversides of Dublin. Virgin Media will provide all runners taking part with a brand new red hot running top to be worn on the night along with numerous other goodies. The staff of Virgin Media will also be running on the night and hope to raise €10,000 for Dublin Simon Community. Anyone who registers will receive a free Virgin Media running pack, which includes a Virgin Media technical t-shirt and race number (chipped). Entry is €30. Register now online at www.virginmedia.ie/nightrun. Entry closes on May 18th. Road closures will be in place on the night with further information available closer to the event. Keep up to date with the latest news on the Night Run on Twitter @Dublin_Simon and @VirginMediaIE.